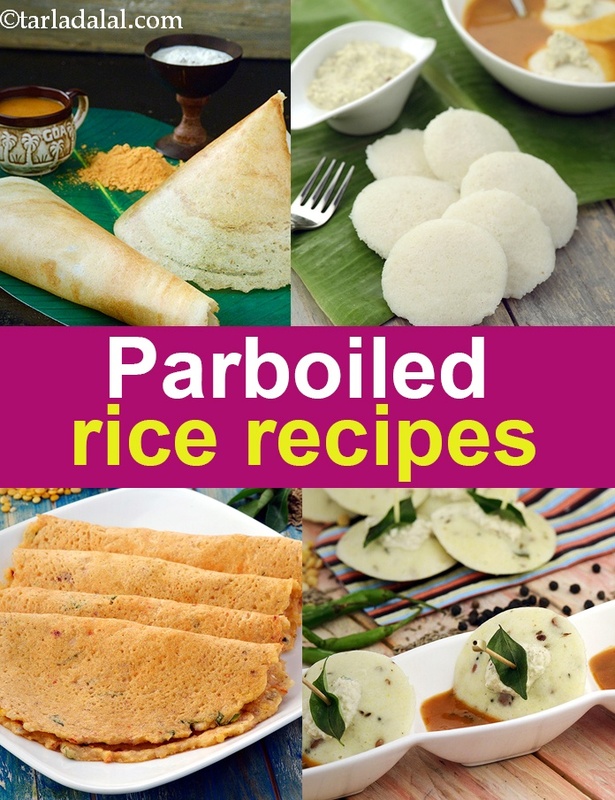 parboiled Indian rice recipes | Ukda Chawal recipes. An ideal breakfast option for the busy-bee! served piping hot, usually in portions of three idlis per plate, who can say no to these healthy, steamed idlis that are accompanied by delectable sambhar and two chutneys too? These soft and spongy dosas go wonderfully with any of the other dishes or a curry. Suggested serving size for 100 calories: 2 pieces i’ve given the humble idli-dosa batter a twist. Carrots, coriander and green chillies add oodles of flavour and fibre, making this the yummiest waffle ever! A tasty bread substitute made of rice batter in coconut water is a famous south indian breakfast. Whole wheat idly is prepared from whole wheat grains, urad dal and very little rice. You can add various grated vegetable of your choice in this idli batter and steam it.